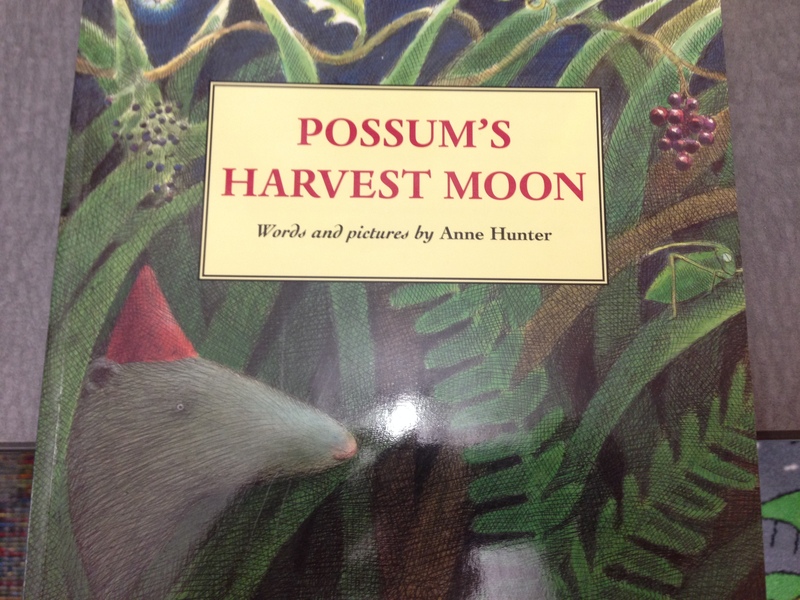 As we continue to learn about fall and about harvest we read Possum’s Harvest Moon by Anne Hunter. 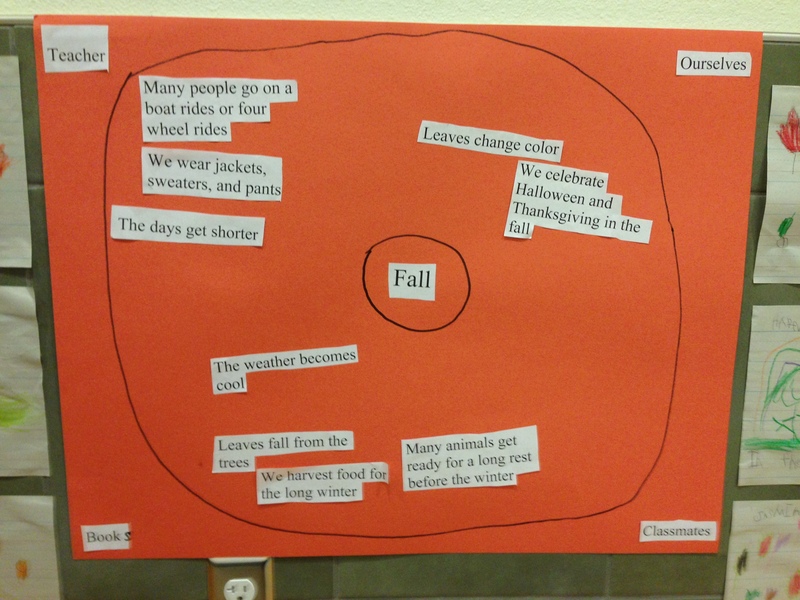 We then created a circle map about fall and talked about where we learned it from? 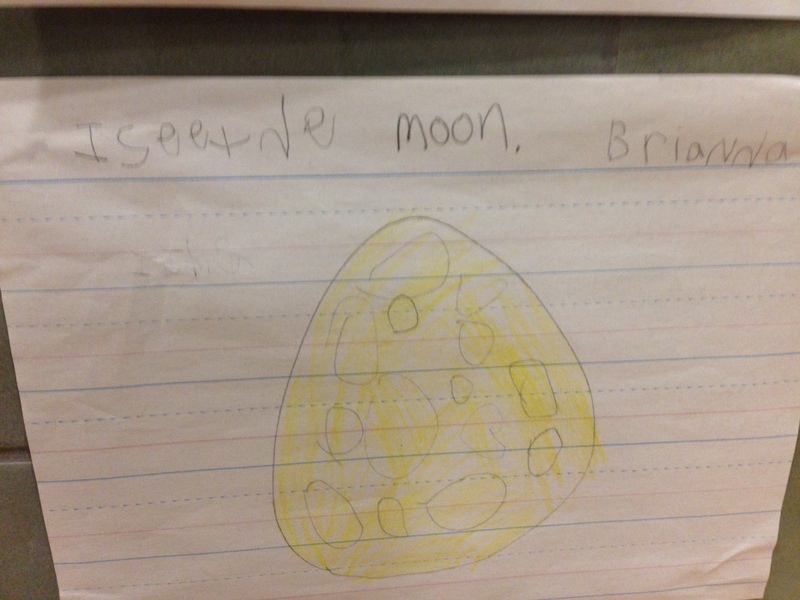 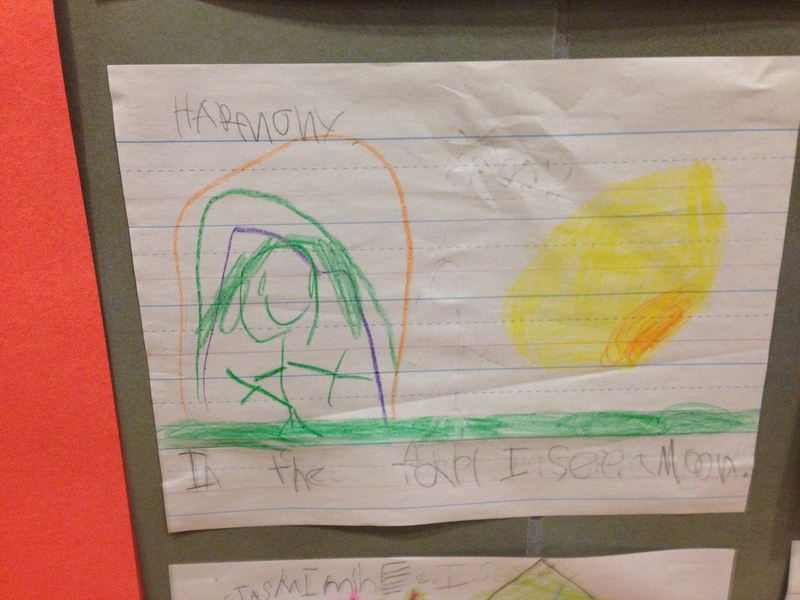 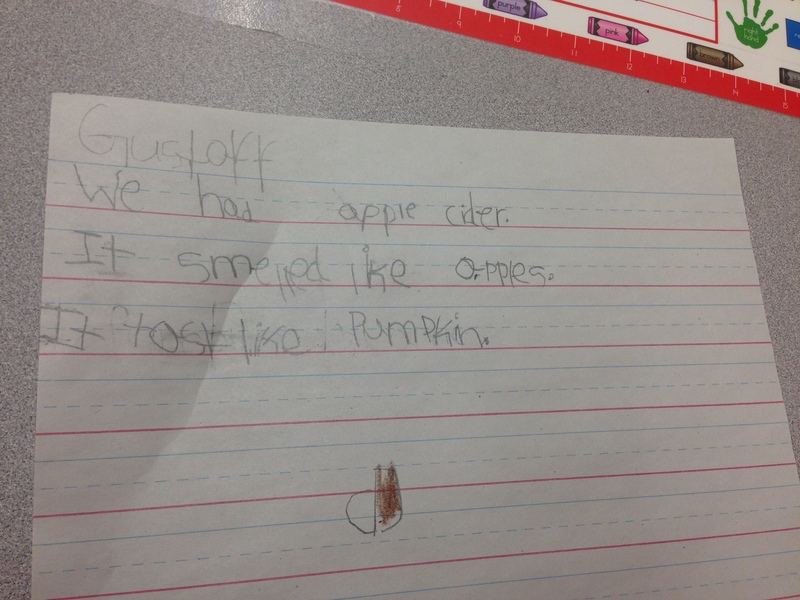 We also then wrote about things we can see in the fall. 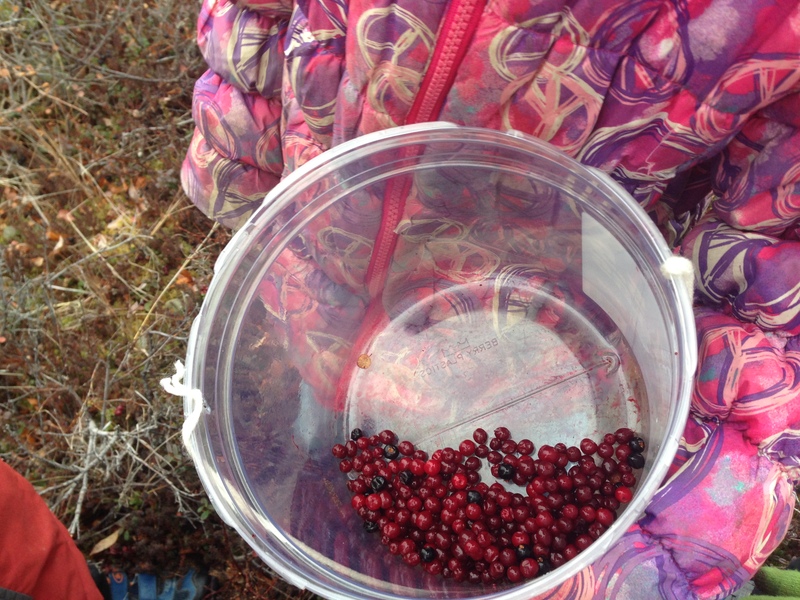 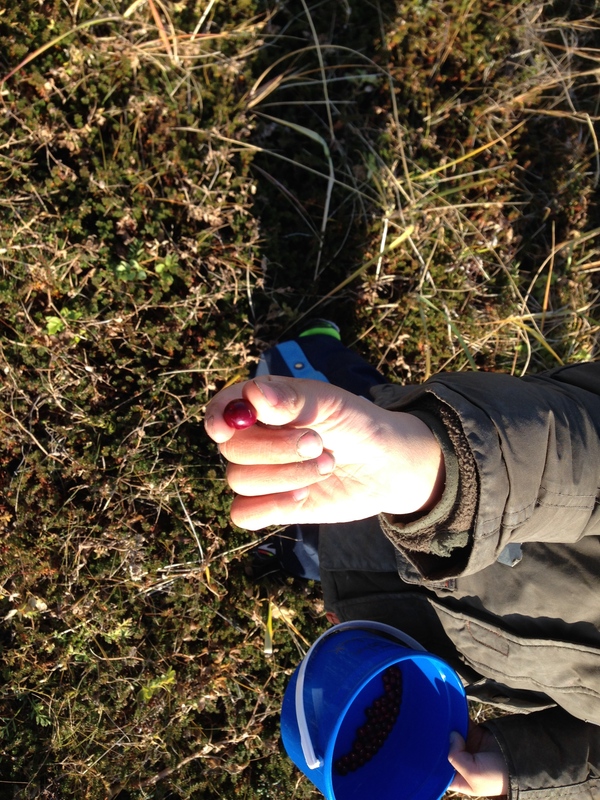 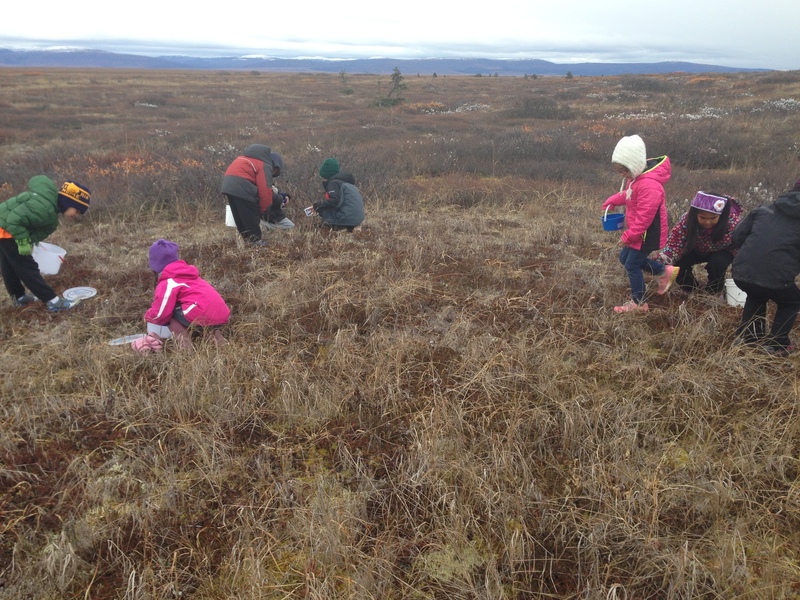 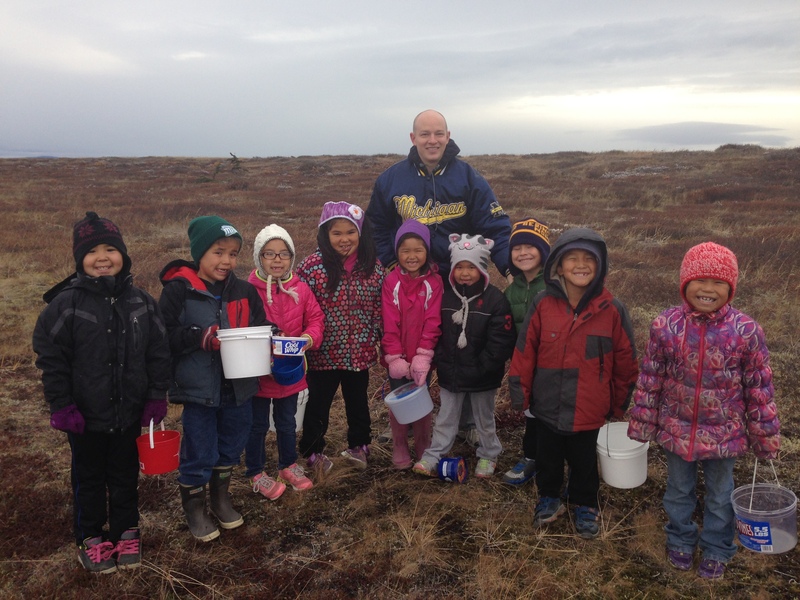 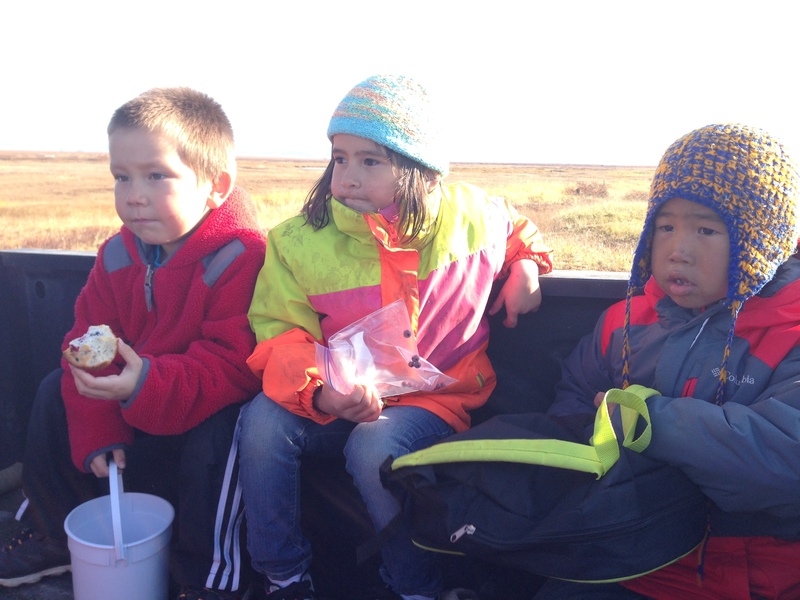 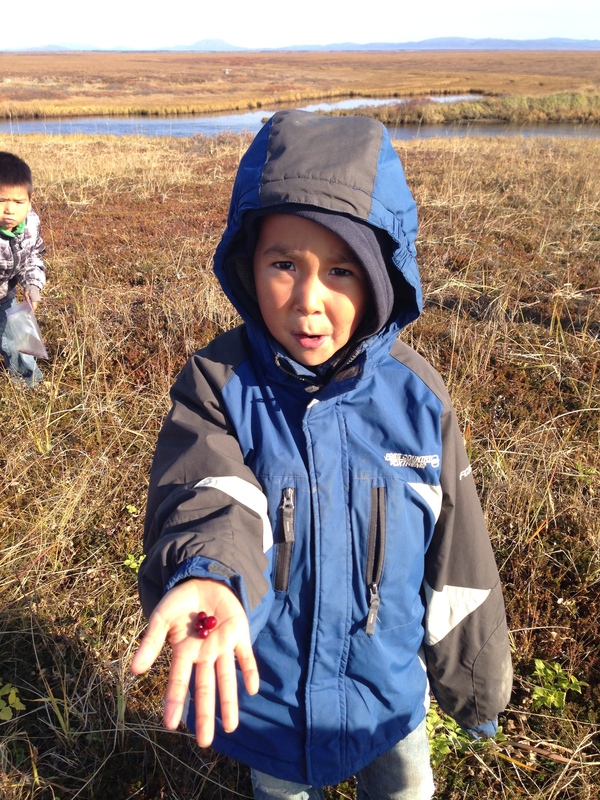 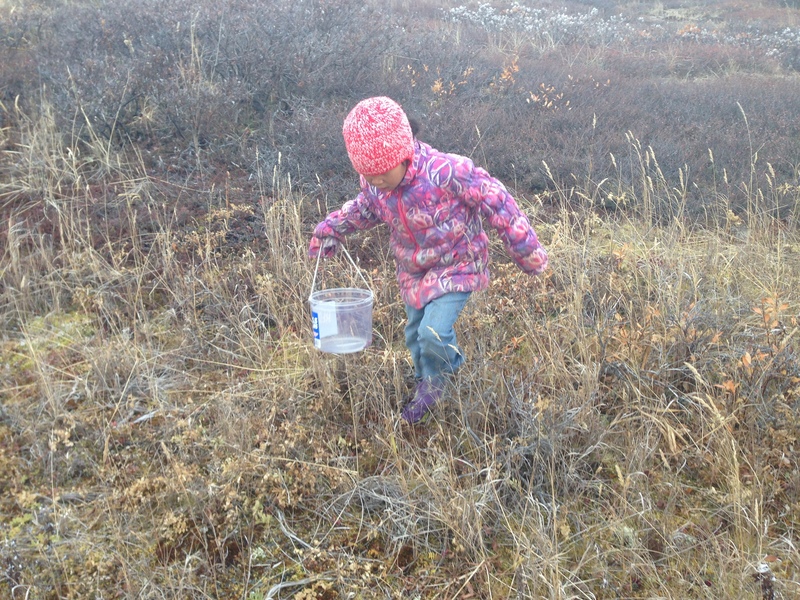 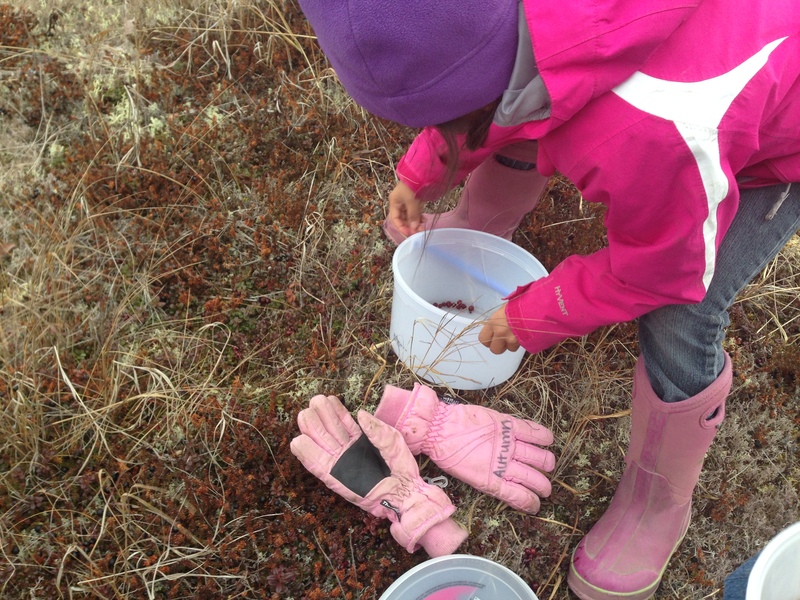 In the afternoon we took a berry picking trip to celebrate the way we harvest in Shaktoolik, ate cranberry muffins made from berries I picked previously. 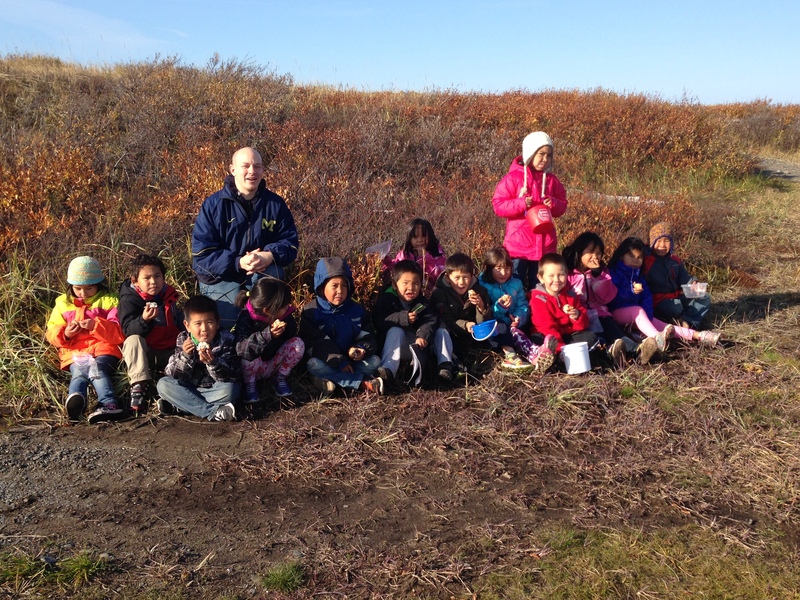 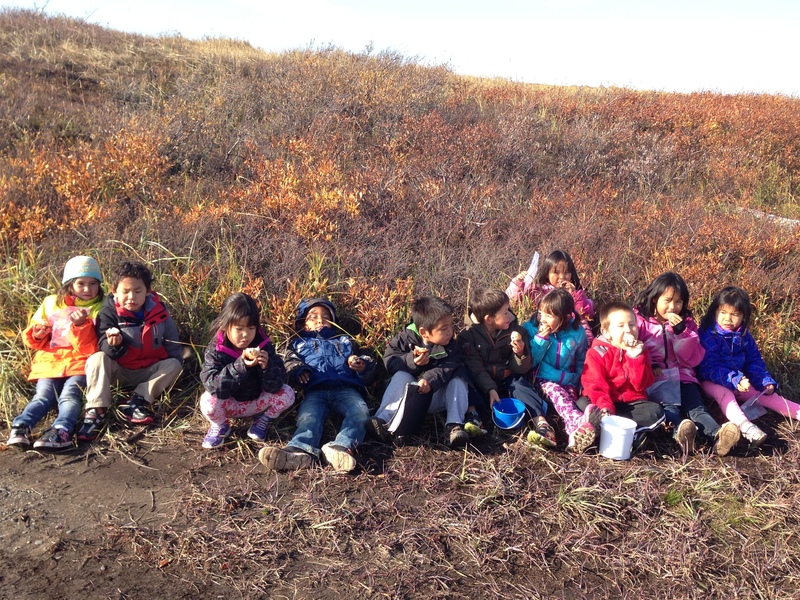 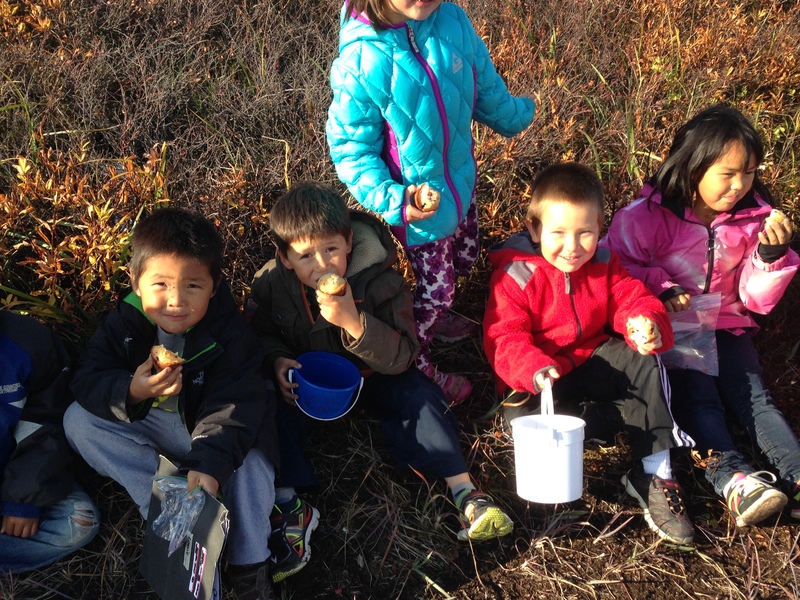 We really enjoyed experiencing picking berries, seeing fall colors in the bushes on the tundra and tasting the sweet muffins! 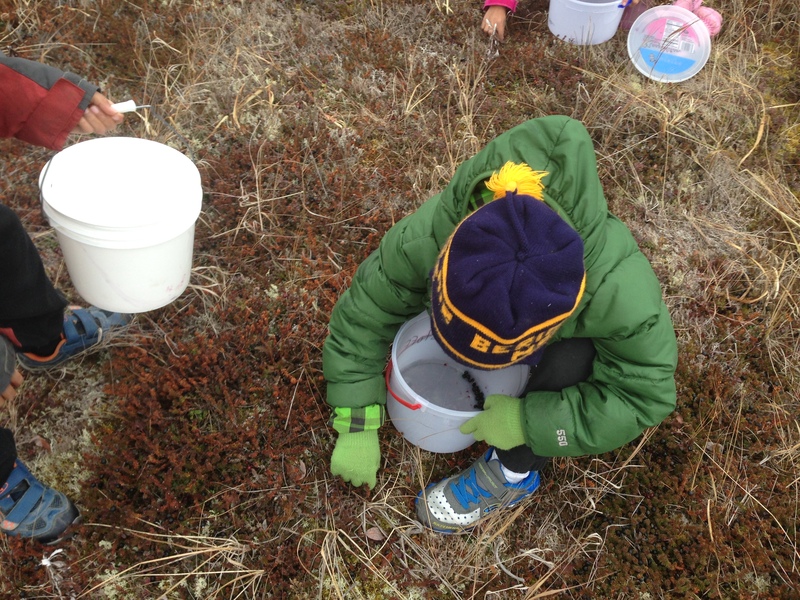 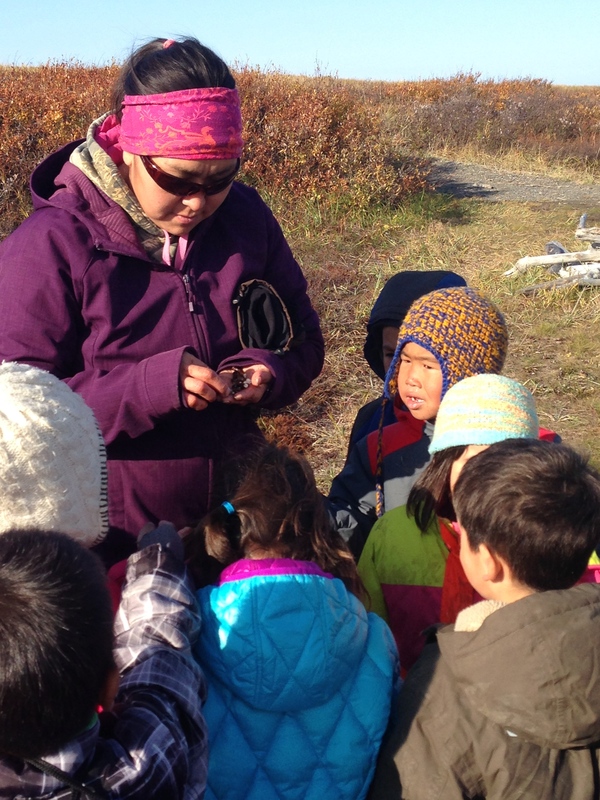 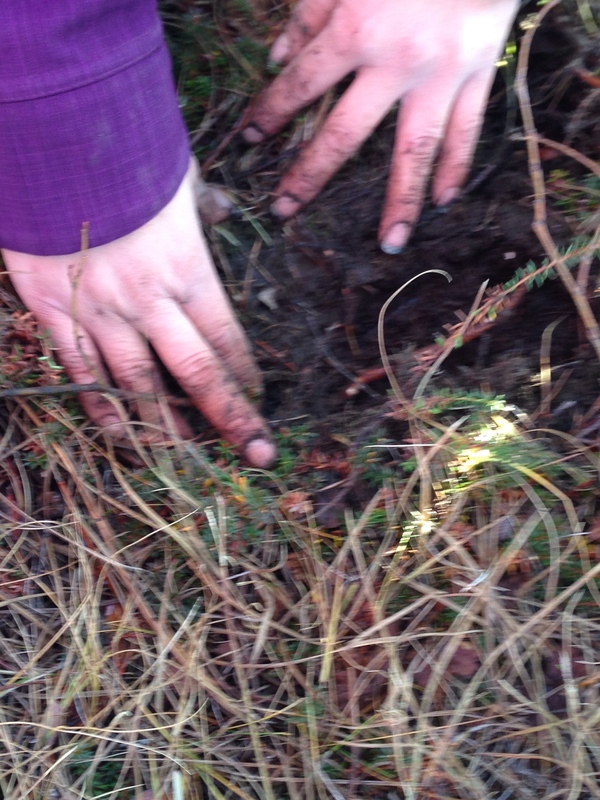 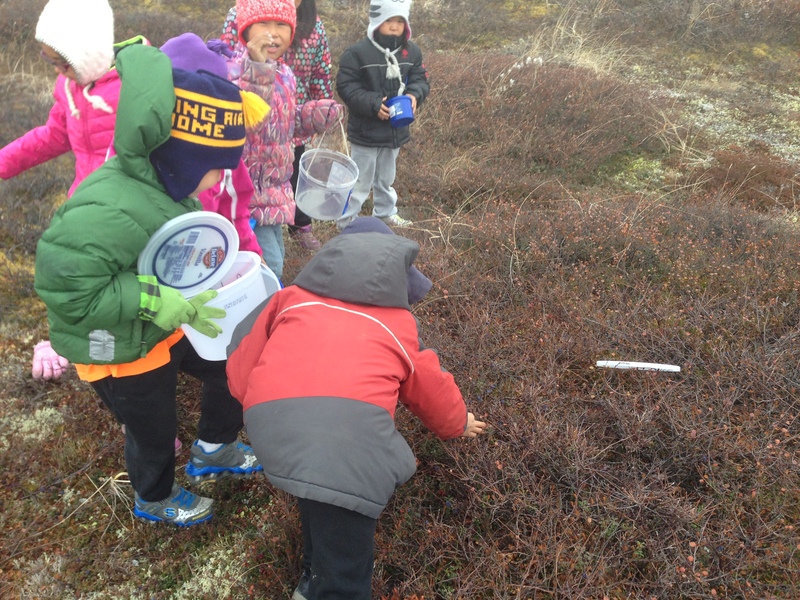 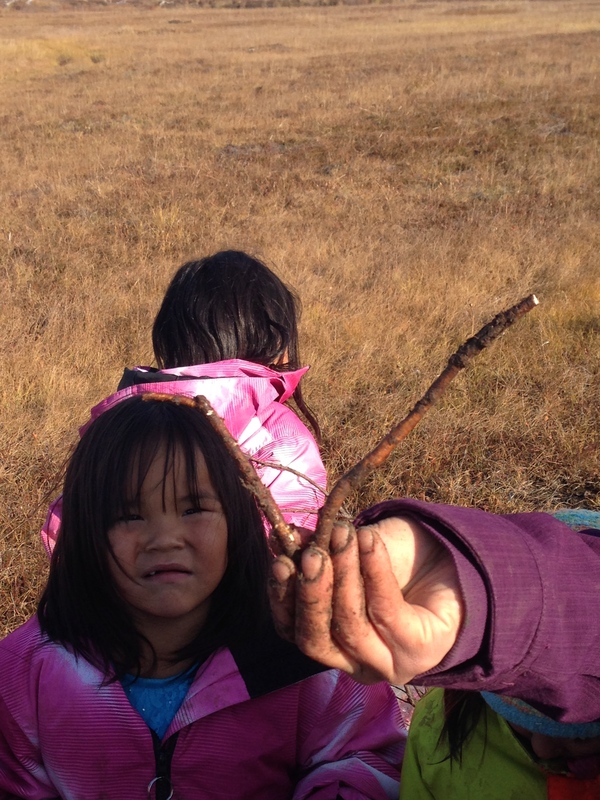 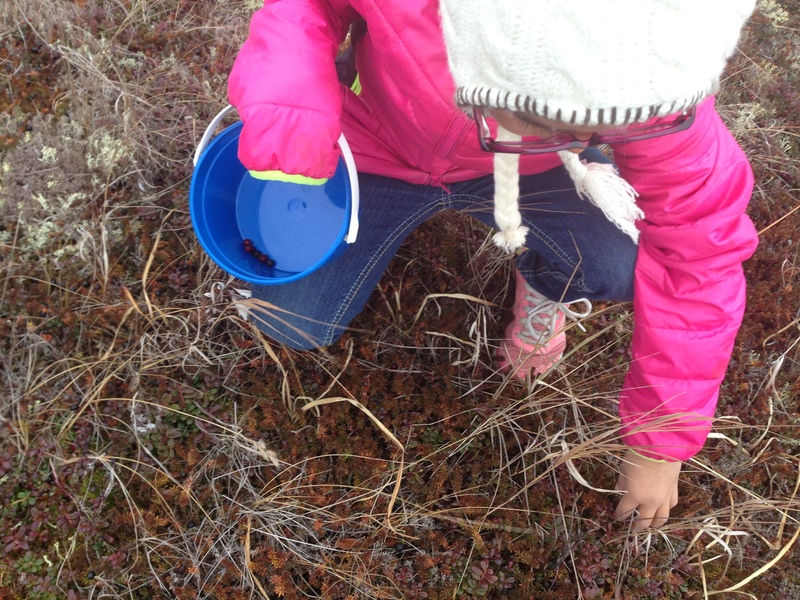 Also our teacher aide, Amanda, found mussu (an edible root found out on the tundra). 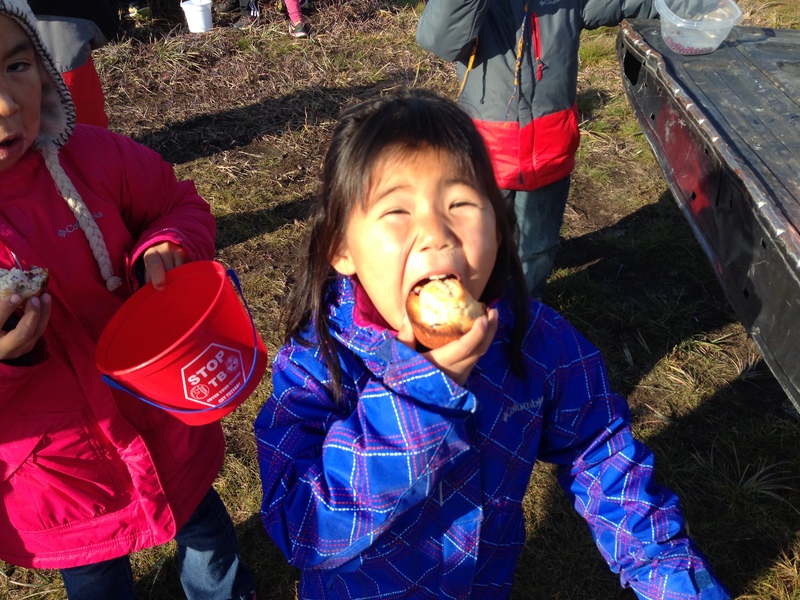 She taught our students how to harvest the mussu and we all had a taste! 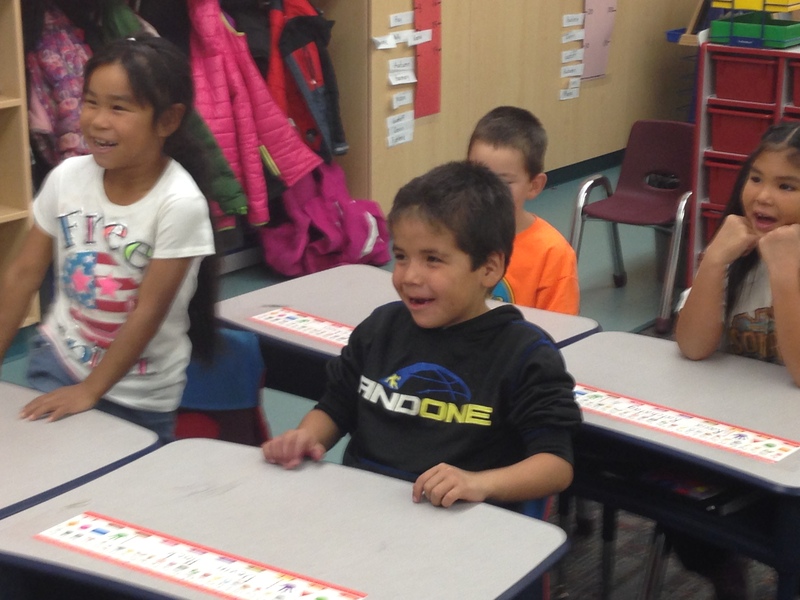 Today was a BIG day for Mr. Daniel’s K-1 All-Stars! 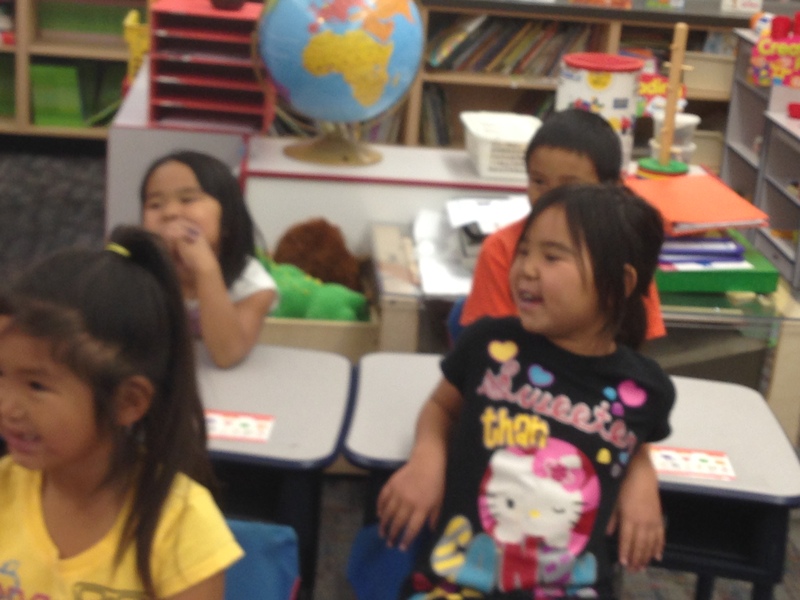 Today was the last Saturday make-up day for school. 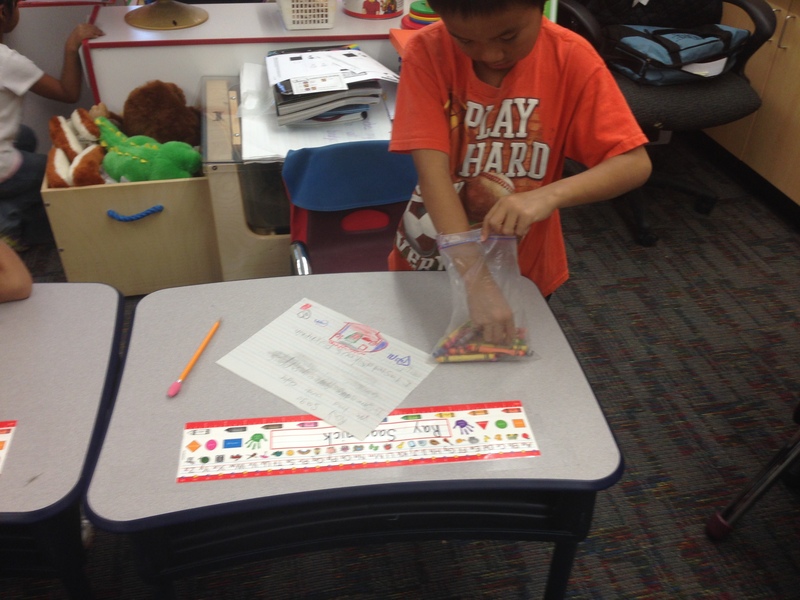 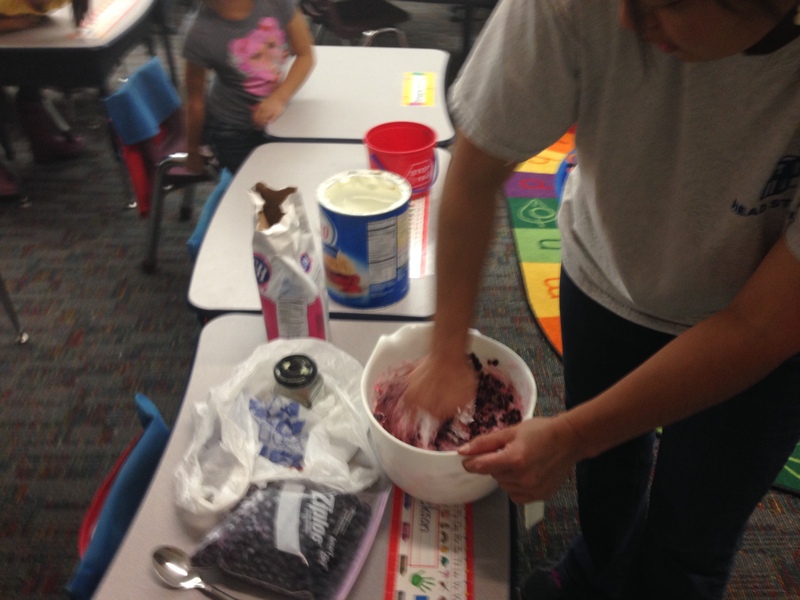 While students had to come to school today, we tried to make it a day of fun as well as a day of learning. 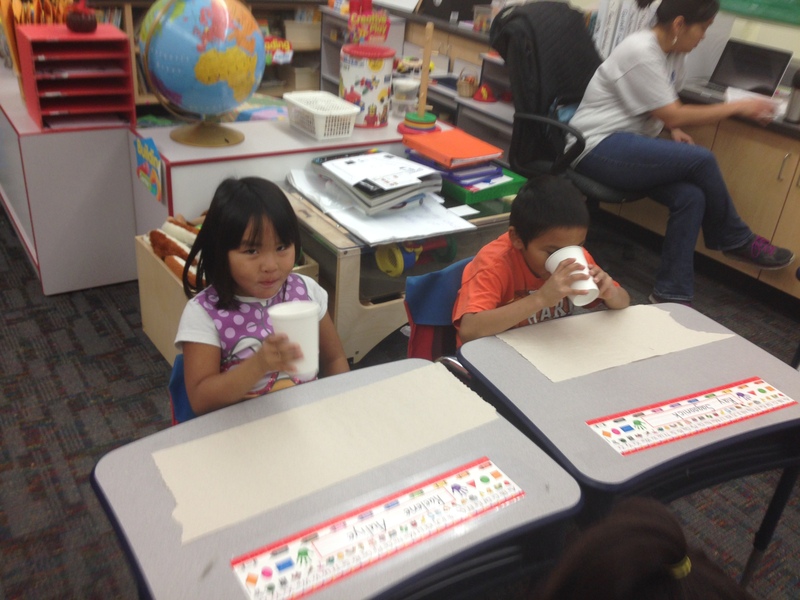 As I have said before we are in the middle of two units here in our K-1 Class. 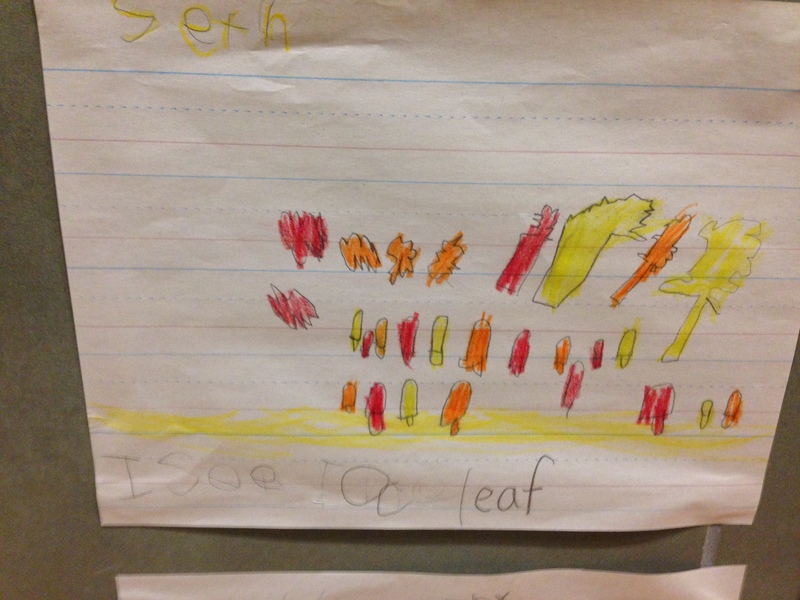 First we’ve been talking about fall, as well as our head to toe unit. 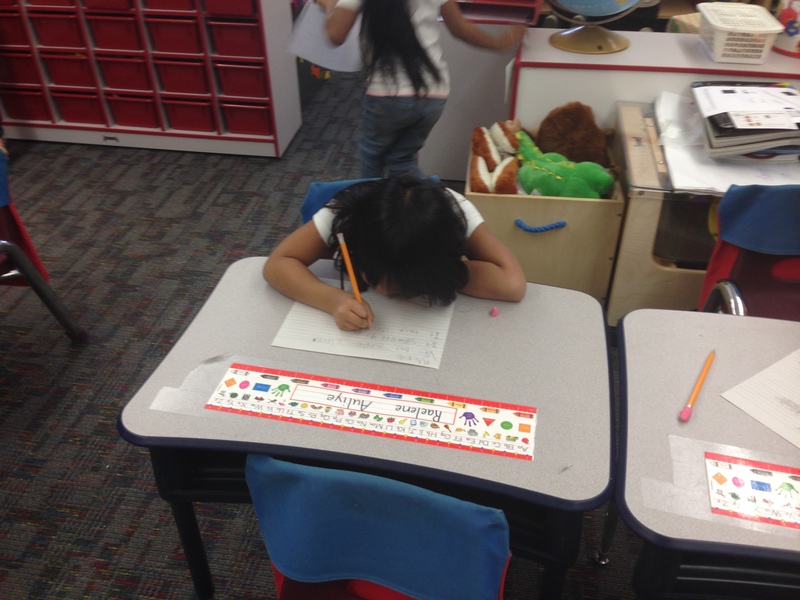 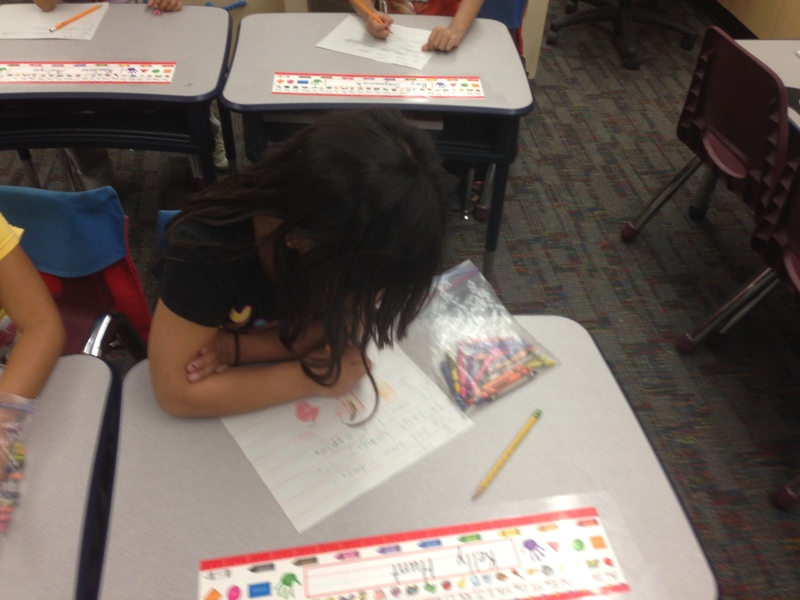 Where student’s learn more about themselves and how they are important. 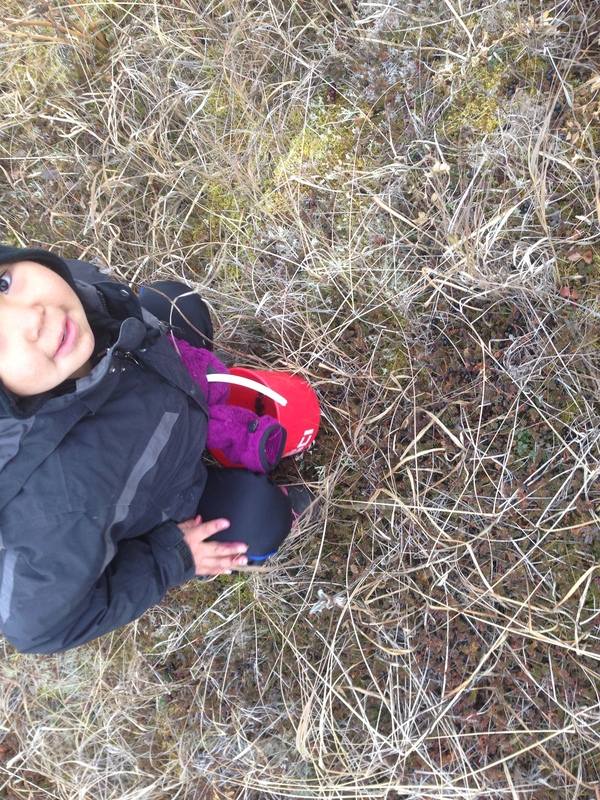 But we talk more about our body and how we grow and change over time. 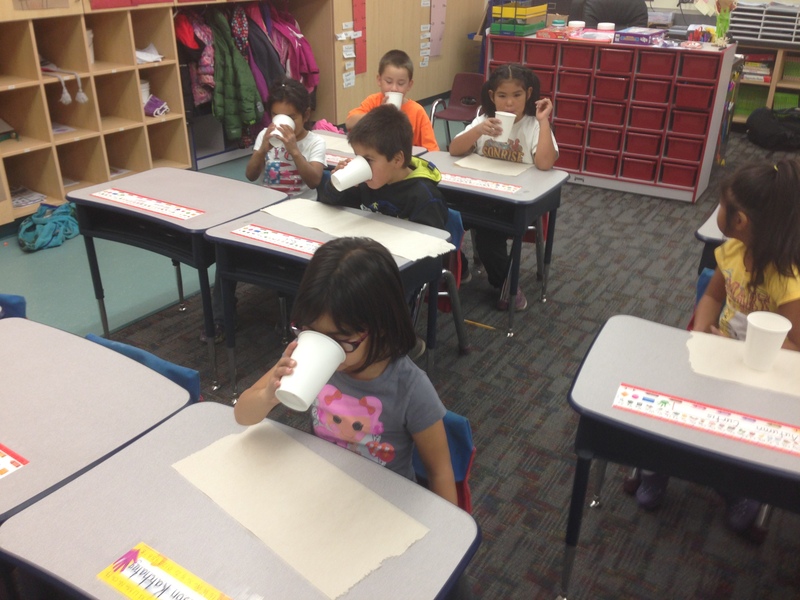 Also in this theme is talking about our five senses. 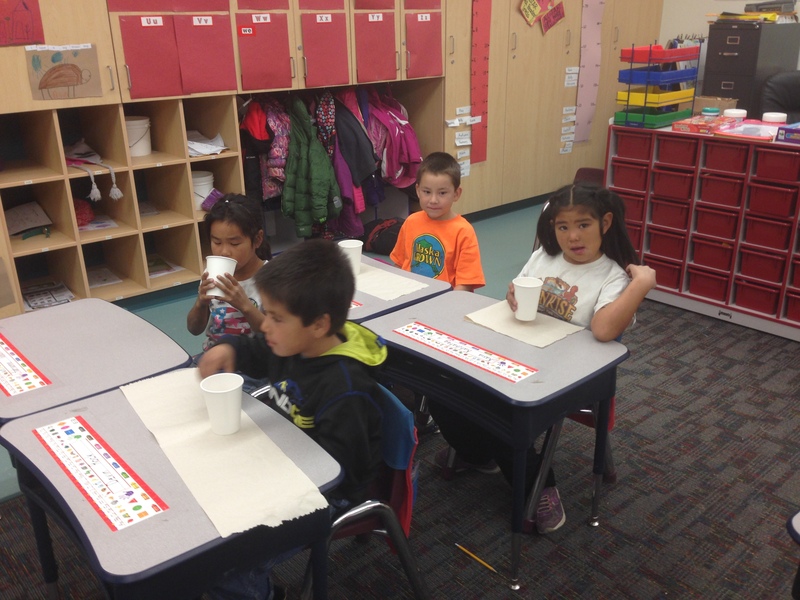 Today in Mr. Daniel’s K-1 All-Stars students used their sense of smell and taste to enjoy a fall treat, homemade Apple Cider! 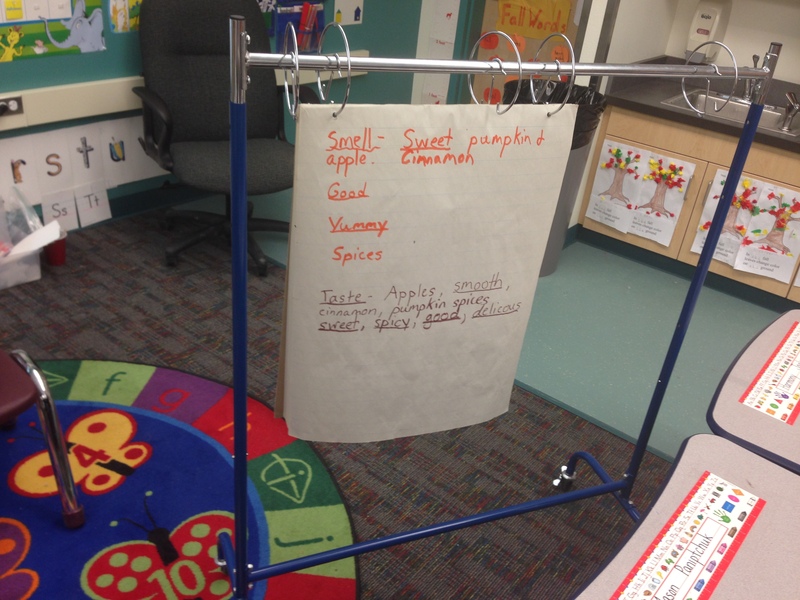 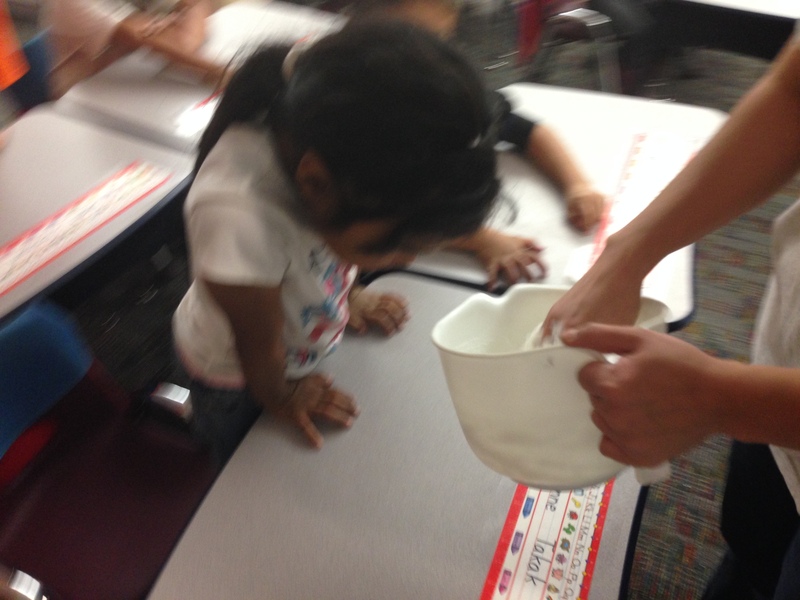 Students discussed about how it smelled and tasted, and then we created a list of describing words. 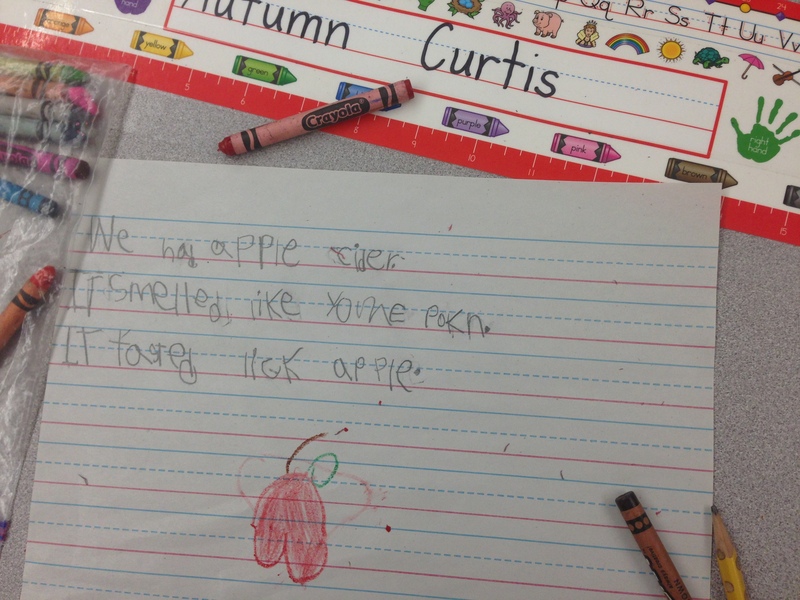 Afterwards students practiced writing using a topic sentence “We had apple cider.” Students have been learning in 1st grade how to write using a main idea and giving two details. 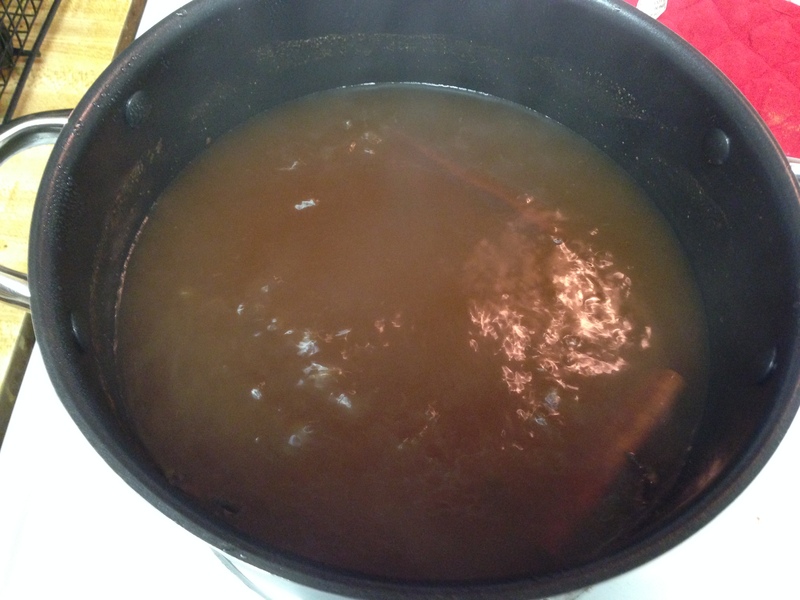 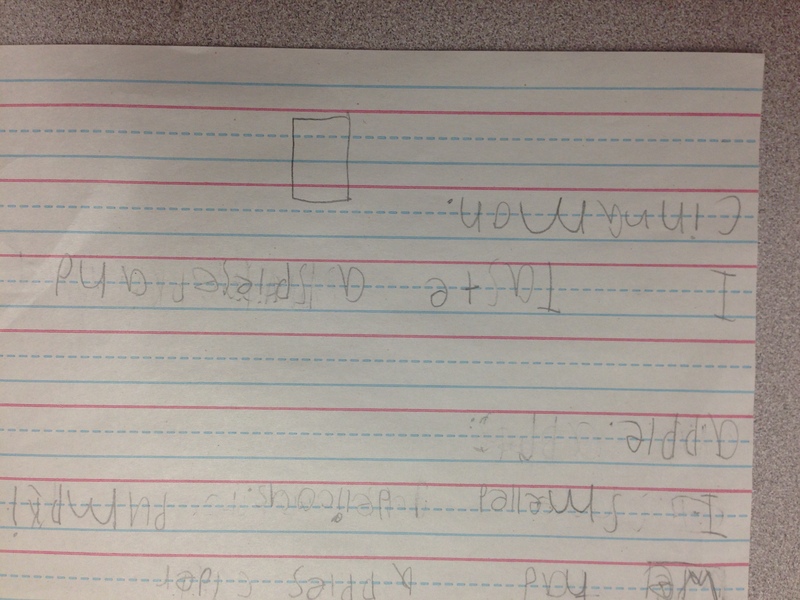 Today the whole class wrote about their experience with apple cider! 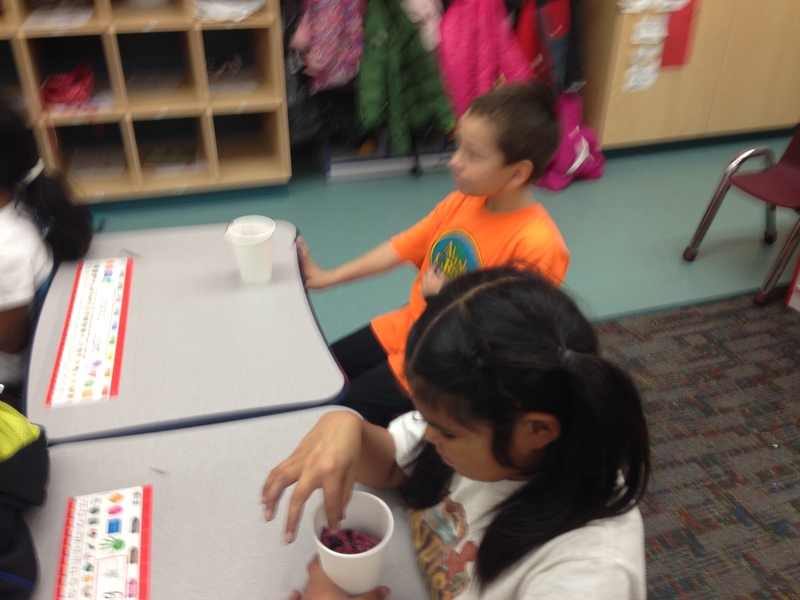 After we had the apple cider I showed students on the smart board pictures of Michigan (grew I am from) and how apples are harvested in the fall, to be sold to stores, or put into to make things like apple cider. 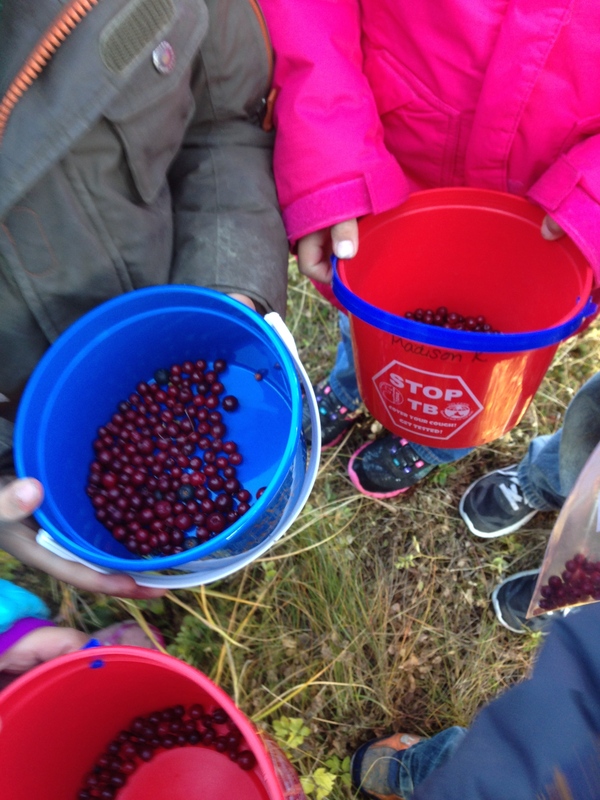 Our All-Stars then got to be a part of the fall harvest as they went out berry picking after lunch. 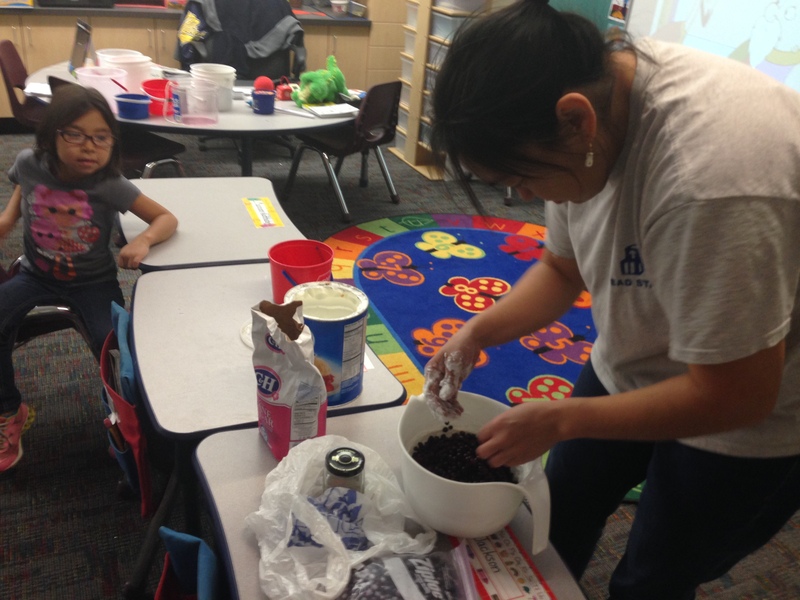 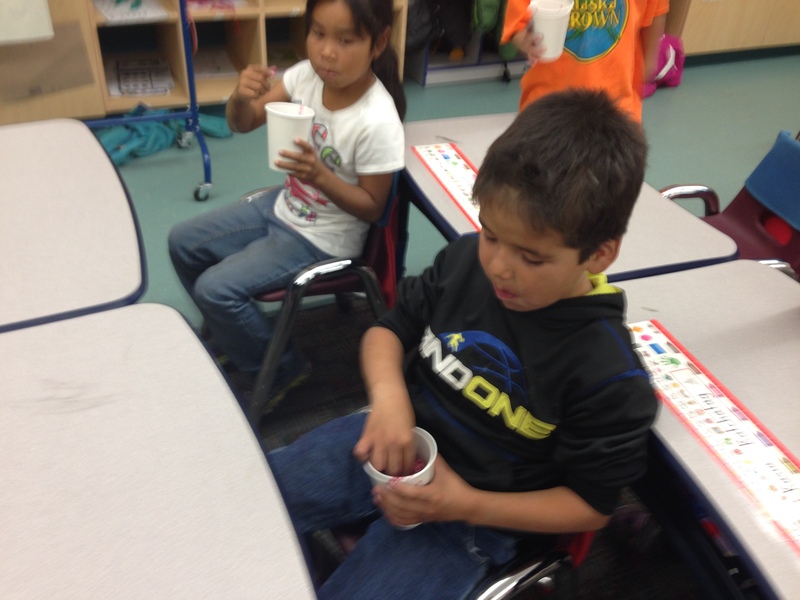 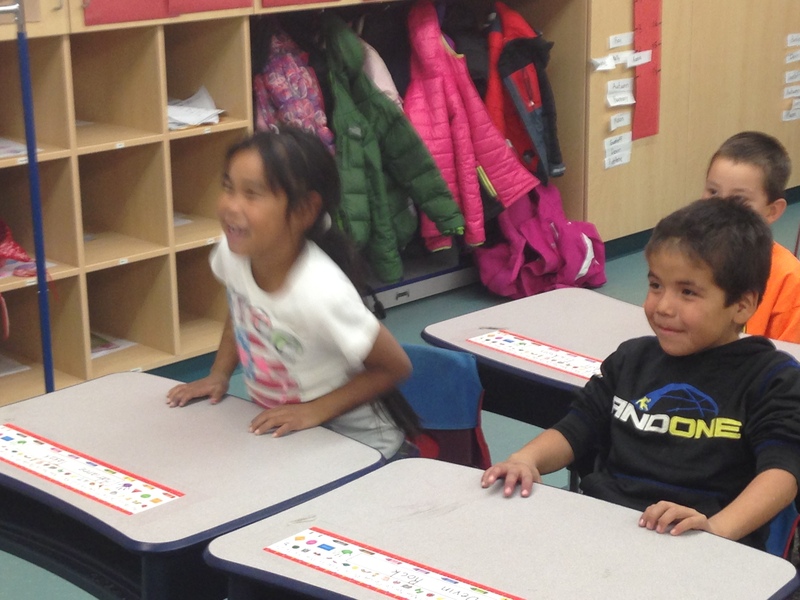 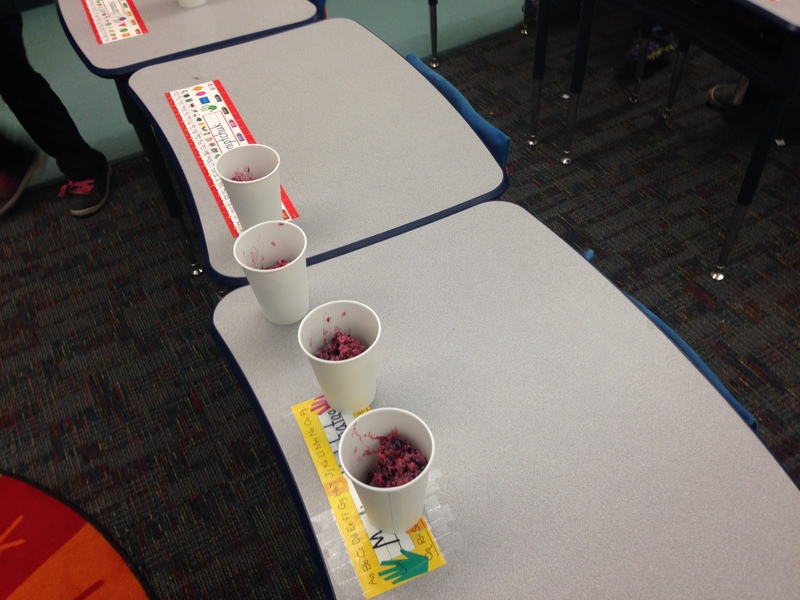 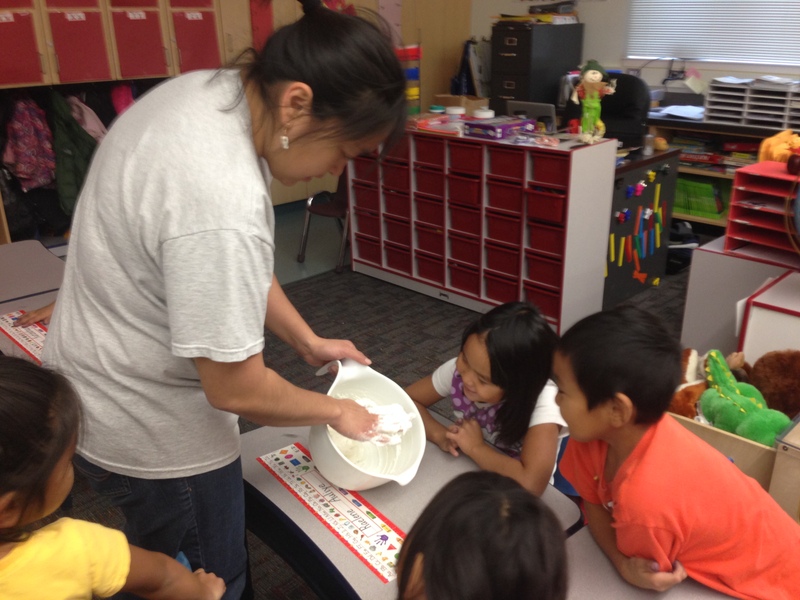 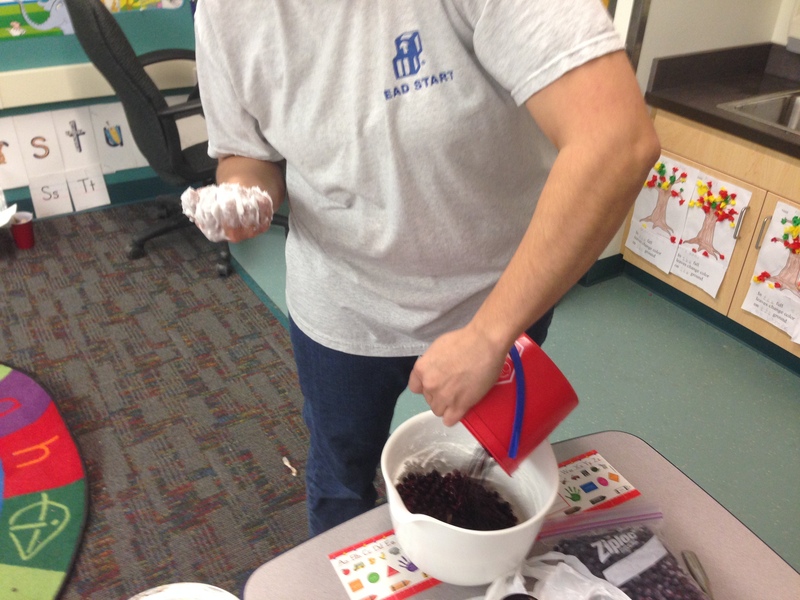 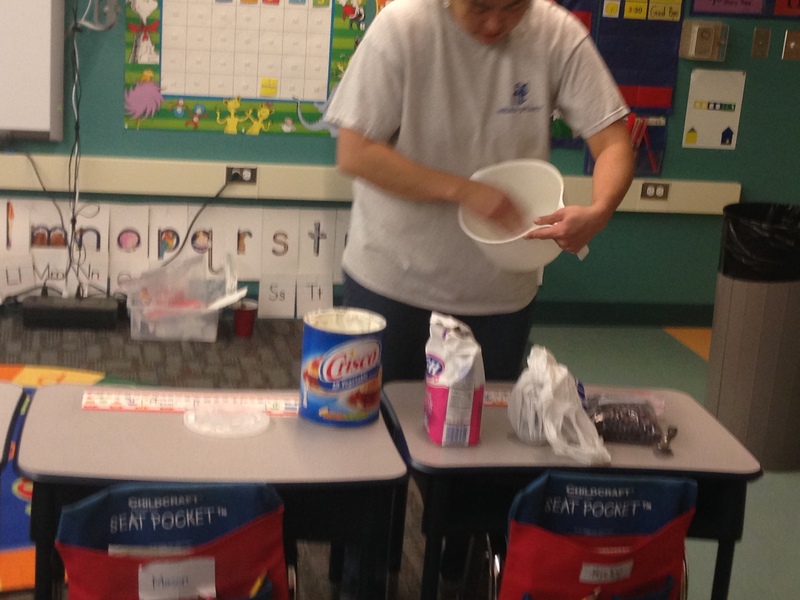 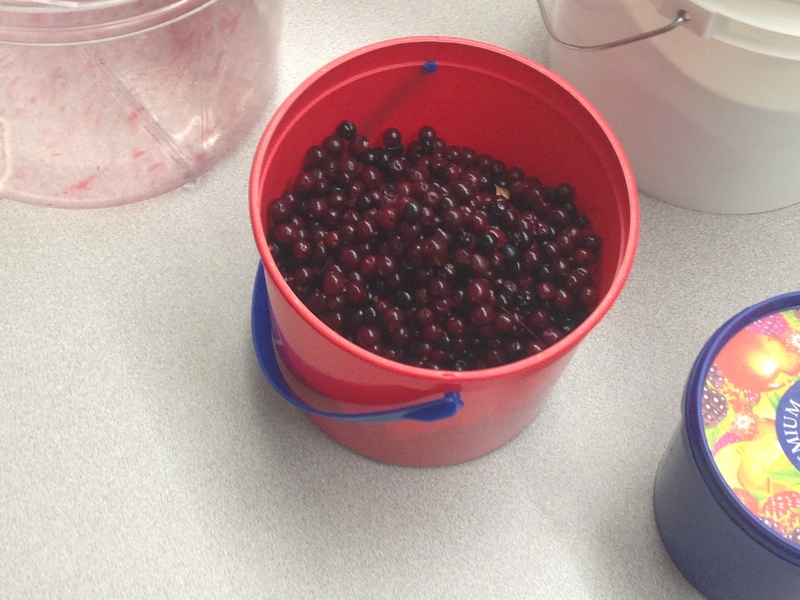 Our K-1 Aide, Amanda, showed the whole class how Agutac (or also known as Eskimo ice-cream) is made and she used their berries to make the Agutac. 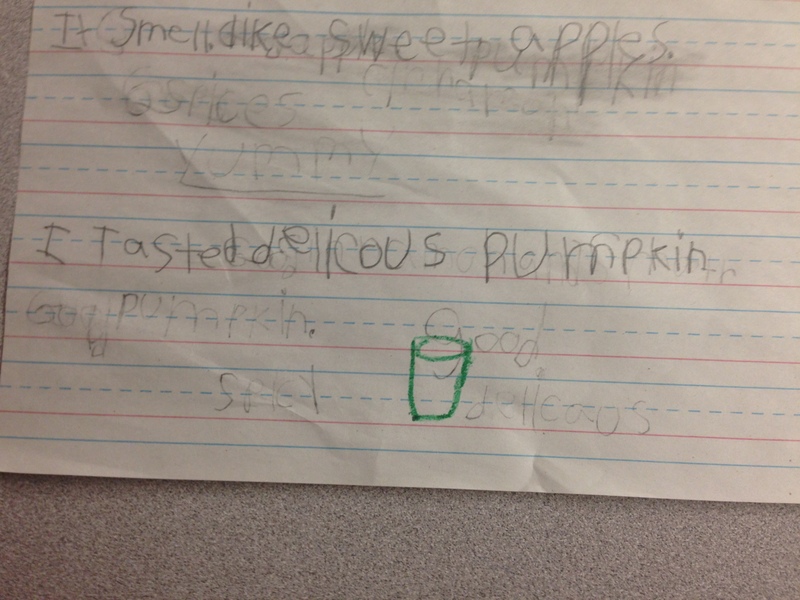 I think it was a great compare and contrast for our K-1 students. 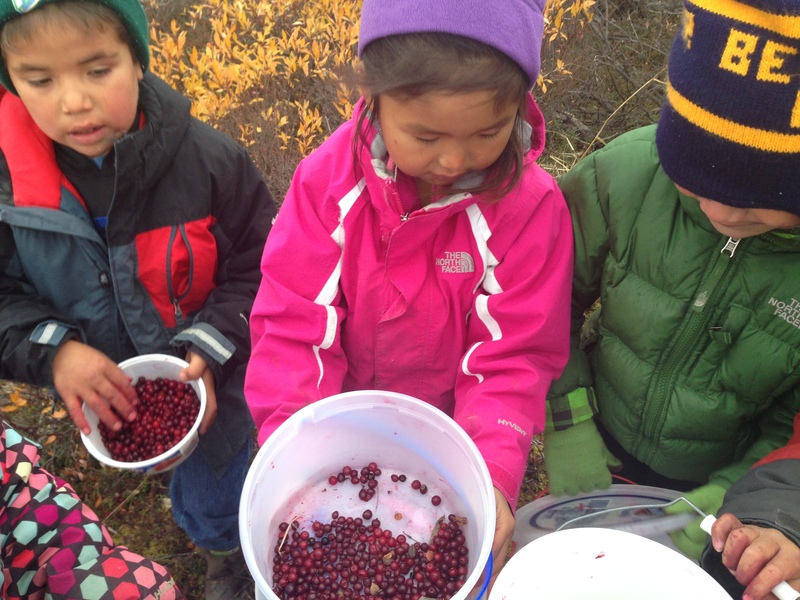 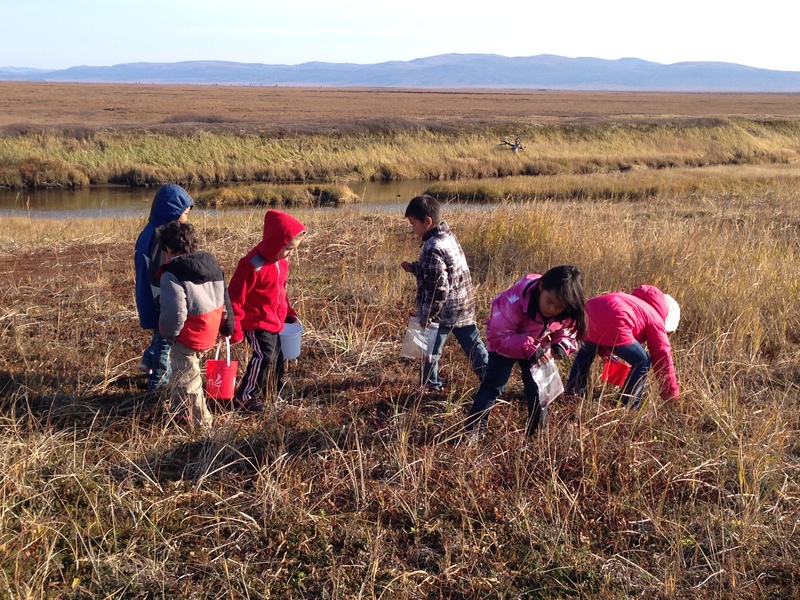 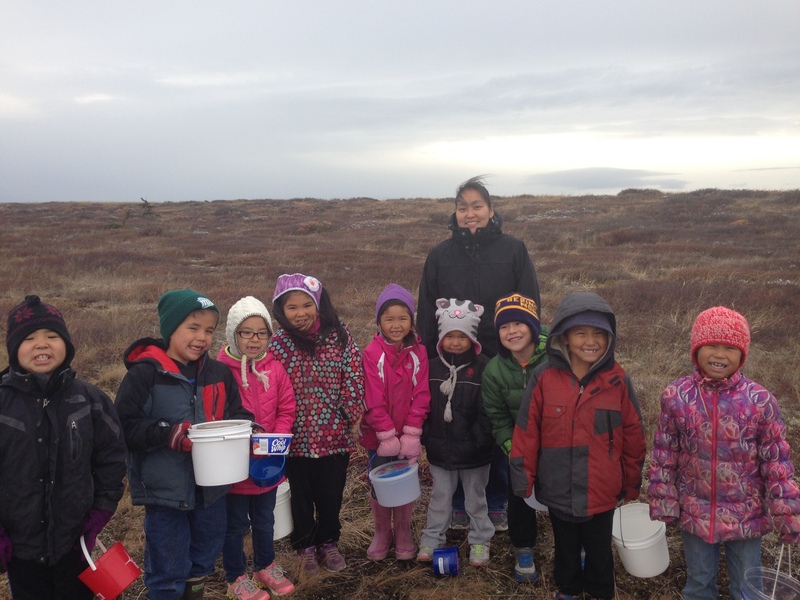 They got to see how other places prepare for winter by harvesting and gathering their food. 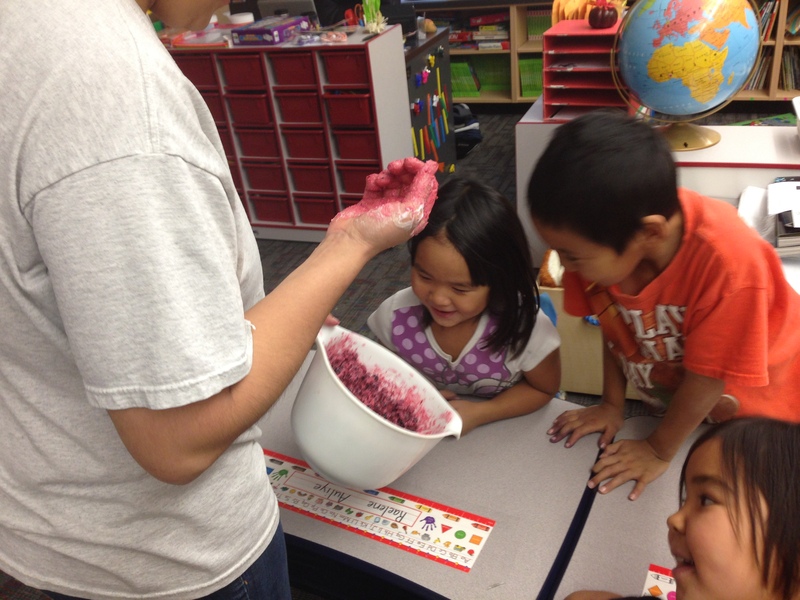 Then they got to learn about and experience some of their own culture and be a part of the fall harvest!